Vogue proves we don’t have to compromise style for comfort. This Spring, we’re taking on the challenge of head-to-toe in a modern knit – it’s polished, chic and a perfect transition in between seasons. Here’s our Spring take on the allover knit. 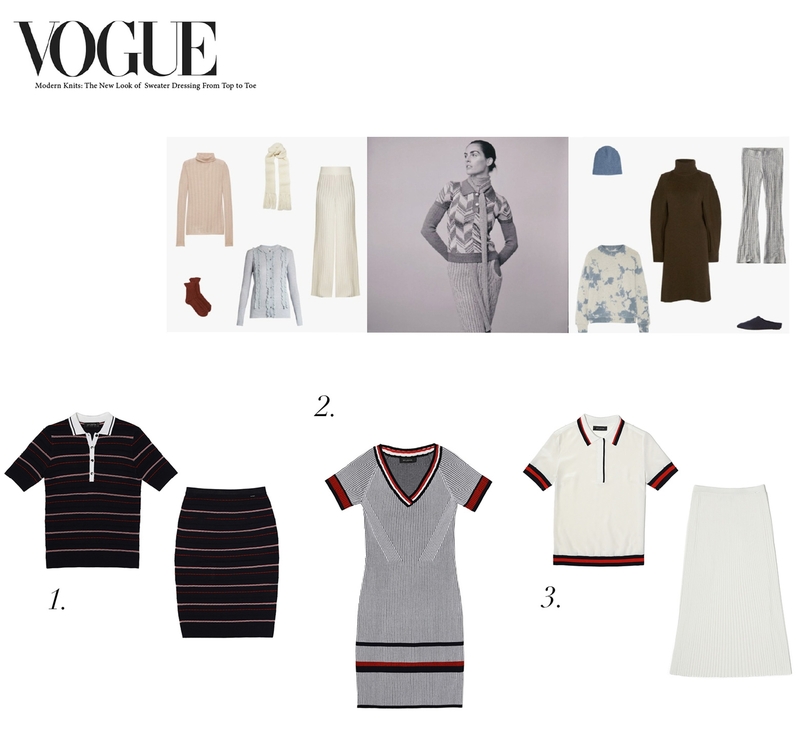 1.Knit Polo Top, Knit Pencil Skirt. 2. Two-Tone Rib Knit Dress. 3. Stretch Silk Polo, Knit Midi Skirt.